Please share your memories of Dr. Blesius at remembering-dr-blesius@blesius.org. 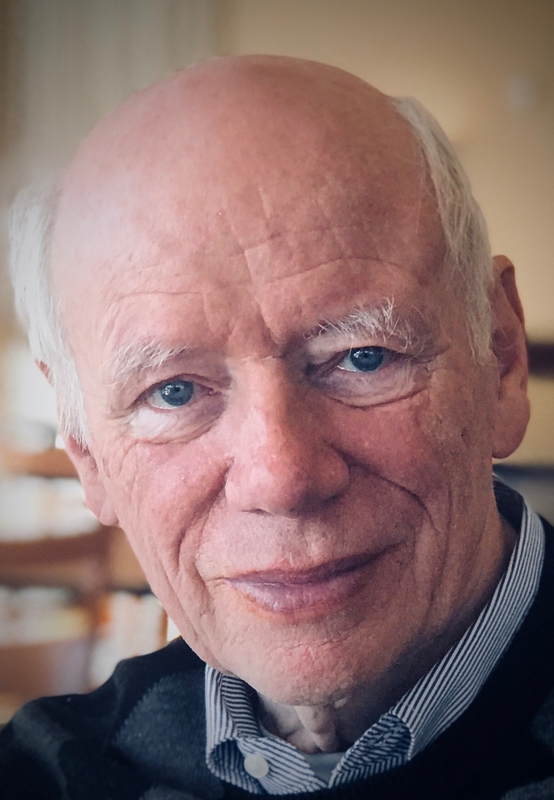 Dr. Cornelius (Nels) Klaus Blesius, 81, passed away on March 4, 2019. He was an intelligent, optimistic, big-hearted man, who was loved and full of personality. He will be remembered as a caring husband, father, Opa, physician, and one of El Paso’s biggest fans. He was born in Berlin, Germany to Nikolaus and Erica Blesius in 1937. As a young boy he lived through WWII and learned the life-long traits of perseverance, survival, and the ability to overcome adversity with optimism and conviction. He survived the war and post-war food crisis by relying on family and friends. After the war, he studied philosophy, germanistics, art history, and finally medicine in Freiburg and Berlin. He went on to complete clinical internships in Berlin, Heidelberg, and San Juan, Puerto Rico. As a teeneager, he dreamed of living in America. He realized his dream by applying for a U.S. Visa. He was given a green card and the opportunity to head an emergency room in New Jersey. He traveled to the Southwest and fell in love with the wide open spaces, the sky, and the weather. Shortly thereafter, he found a way to move to the Southwest by working alongside the Sears Foundation to establish the Bovina Medical Center in the Texas panhandle. While running the clinic, he applied for and was accepted to another residency in Internal Medicine at Baylor University Medical Center in Dallas, Texas. He became a pilot and purchased an airplane which made it possible to commute between Dallas and Bovina on an as needed basis. It was during his residency at Baylor that he met his wife of 48 years, Rita Fae Clark. Rita was a nursing student at Baylor University. They married in 1971 in St. Petersburg, Florida. After completing his residency program, he sought out and embraced the opportunity to practice medicine in the West Texas town of El Paso, which at the time was a medically underserved area. This was the beginning of a long stimulating career in the Sun City. He prided himself in providing excellent care to his patients. Over the years he has cared for thousands of patients who sought out his careful and thorough diagnostic workups. He loved his patients and practicing medicine in El Paso until he retired at the age of 79. In his free time, he enjoyed reading, playing classical and baroque music, piloting his own plane, attending bible study, and appreciating the light and beauty found in the sunsets of El Paso from the balcony of his own home. He was preceded in death by his parents, Nikolaus and Erica Blesius and his brother Wolf Ludwig Blesius. He is survived by his wife, Rita, his son Carl Blesius with wife Robin; his daughter Fae Sowders and her husband William; and his six wonderful grandchildren: Luke, Johann and Eden Blesius and Mia, Riley, and Quinn Sowders. He will be sorely missed by all his family and friends.